Tilly and the Buttons: It's Sewing Indie Month! 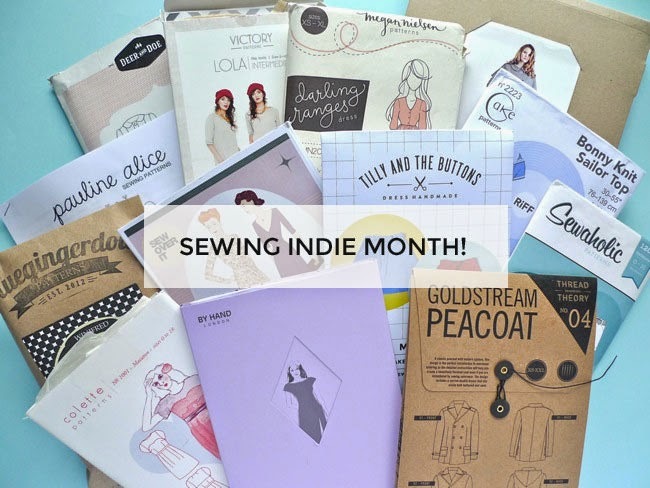 Happy Sewing Indie Month everyone! What am I on about? Weeell... a bunch of us indie pattern designers have joined forces for a month-long celebration of sewing with independent patterns. Yay! I've been a big champion of indie patterns since I started sewing. The love and attention to detail that goes into each design is just extraordinary, from the stylish designs to the thoughtful instructions, from the gorgeous packaging to the extra support and community element built around this world. Plus it's great to know that when I buy an indie pattern - or promote it on my blog - I'm supporting the women (and at least one man!) who are starting up and running these small, niche businesses. Hooray for indie sewing! As for designing sewing patterns for a living, I can't tell you how happy it makes me. When I was a kid, the kinds of toys I loved most in the world were those craft kits that showed you how to hand sew and stuff a little cuddly penguin or something with goggly eyes. While of course what I do now is muuuuch more sophisticated (ahem ahem), I do feel that it's a bit like making those kits for grown ups. Grown ups who want to shut off the stress of daily life for a few hours, get down and dirty with fabric and thread, and re-experience that childlike sense of experimentation, pleasure and pride in making something with their own hands. While other indie pattern business owners might not think of what they do in terms of the homemade cuddly penguin analogy, I'm sure they share my enthusiasm for inspiring and empowering people to make stuff. So it's an honour to be collaborating with them. The idea was the brain child of Mari of Seamster Patterns, who deserves a huge thank you for not only coming up with the idea but basically doing all the work. Thanks Mari! So what's the plan for Sewing Indie Month? 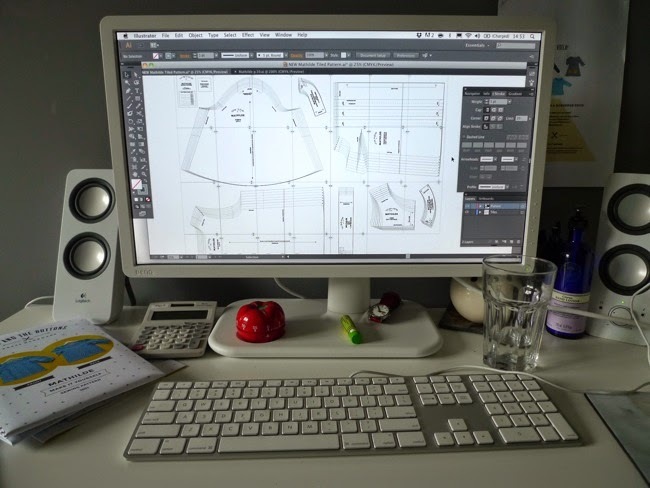 Well, you'll see lots of great content across the internets all month long, born from collaborations between different businesses - including loads of great tutorials to inspire your sewing and interviews where you'll get an insight into how we all do our thing. Plus there will be sewalongs! And prizes! For you! Did someone mention priiiiizes? Check out the full list of goodies up for grabs.